慈雲山舊時好多好嘢好食。個陣時 65座豐園蛋撻都唔錯, 62座嘅雲吞麪, 61座有檔d白麪包空口食都得(唔知有乜料), 12座街市，有炸煆片, 仲有波地 d 神功戲旁的 xx粥..... 好多、好多... 印象模糊唔知點解，依家揾唔翻 d 類似水準 .... 唔知係感覺定幻覺??? 連間單如車仔麵都咁一流!! 湯底用大地魚, 豬頭骨絕不欺場~ 仲有而家出面d車仔麵好少有甜醬....搞到我食麵落甜醬俾人當怪人!! 而家既南記麵家以前都o係慈雲山一個商場仔入面~ 66 座果檔尤魚唔知你有無試過~ 有咖哩味同蠔油味~ d汁好味到想食埋張紙!! Yes, yes, I also love 好玩"House" too. I also went to "Disney" too. Are you interested to pay a visit? Actually, few years ago, I came to the old place and ran all the way up to "Lion Ting". Not only we can train, we can also look around. Are you interested? If you want to take a bath after jogging, you can go to my place to take a bath. 半桶水, are you interested ?? 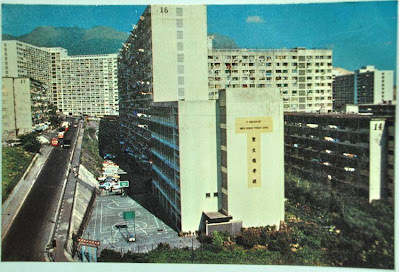 Actually, I lived a bit far - "Po Kong Chuen Do" "Fu Yau Building" (Hope you know what I mean) Let me think ... when I was a kid (6-7 yr old), I used to walk all the way up to "Siu Tung Kwon Yik Wu" and play at the park there. I believe that area is 1-6座 ... soooo 11座 is closed to the football court right ??? 聽講依家 雙鳳街 (?) 好多嘢食... 好熱鬧.